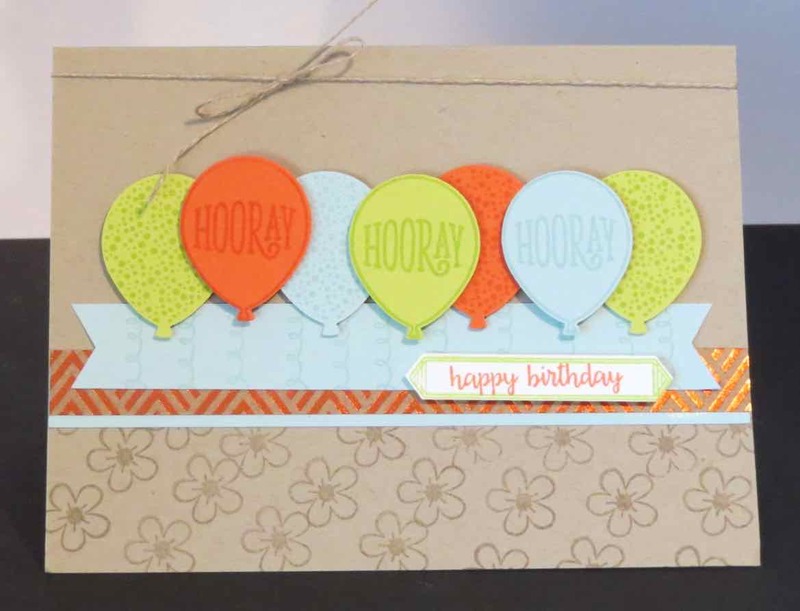 Karina's Kreations: Stampin'Up Happy Birthday Gorgeous! I made 18 of these cute cards for a swap I'm in this weekend. The stamp set is the new Happy Birthday Gorgeous #143662 and I love it! It has so many fun images and greetings to play with. It also coordinated with the Balloon Bouquet punch #140609. Notice the little strip of foil card stock? It's the Foil Frenzy Specialty Designer Series Paper #144125. I cases this fun card right from the catalog.